Shout out to /u/kilrathi for this sample of… interesting whiskey. Why interesting? Is it interesting in that “Ah, it’s worldly” way? Or in that “Well, he’s going to end up owning 16 snakes and call himself Mercutio” way? Or maybe that in between, like “He wears pink a lot and sings baritone and has a donkey named Sally” way? Well, let’s start with Mosswood themselves, shall we? Glad we agree. Note: If you did not agree, I suggest you skip the next part, as you’ll just be annoyed at me assuming we agreed, as writing is a one way medium…. for now…. 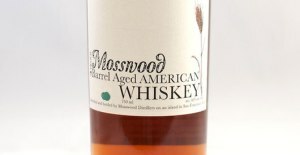 Mosswood sources their whiskey from other distilleries, which are then aged and blended by them to make interesting whiskies. They made a big deal of explaining that their first releases were from Tennessee, and that they were Bourbon.